In delivering his 5th State of the Union speech last week, President Obama addressed a number of challenging realities. And he acknowledged the world is still a very dangerous place. In fact, in analyzing the speech, the Washington Post reported that President Obama referenced the issue of “terrorism” nine times, a new high for the “State of the Union” in his Presidency. But it was the content of his remarks, not the repetition, that made the reality clear. Two new reports, from the US intelligence community and Inter-University Center for Terrorism Studies (IUCTS), underscored the President’s remarks. 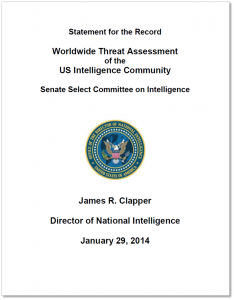 The day after the State of the Union, Director of National Intelligence James Clapper presented America’s annual “Worldwide Threat Assessment” in testimony to the Senate Select Committee on Intelligence. 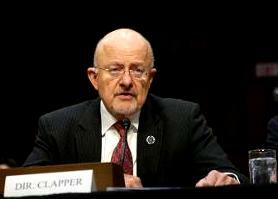 Clapper said the report showed mounting danger from jihadists aligned or inspired by Al-Qaeda, even as the group’s core leadership in Pakistan was weakened. He said Syria’s civil war was acting as a “huge magnet” for terror groups, and said that Africa “has become a hothouse for the emergence of extremist and rebel groups,” particularly in the region stretching across the Sahel from Mali to Somalia. “It is brutally demonstrated by the escalation in violent attacks mounted by a broad range of lawless subnational groups from Mali to Somalia and beyond. “These perpetrators, motivated by ethnic, racial, religious, tribal, and national ideologies, include an expanding array of Al-Qaida-affiliated and like-minded extremist groups and their associates, such as Al-Qaida in the Islamic Maghreb (AQIM), Boko Haram, Ansaru, Ansar Dine, Ansar Al-Sharia, the Movement for Oneness and Jihad in West Africa (MUJAO), al-Mourabitoun, the National Movement for the Liberation of Azawad (MLNA), Al-Shabaab, and militant recruits from the Polisario-run refugee camps and other displaced persons. 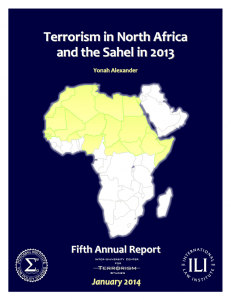 The new study, “Terrorism in North Africa and the Sahel in 2013,” is IUCTS’s fifth annual report on terrorism in the region, and was released January 24 at the National Press Club in Washington, DC. 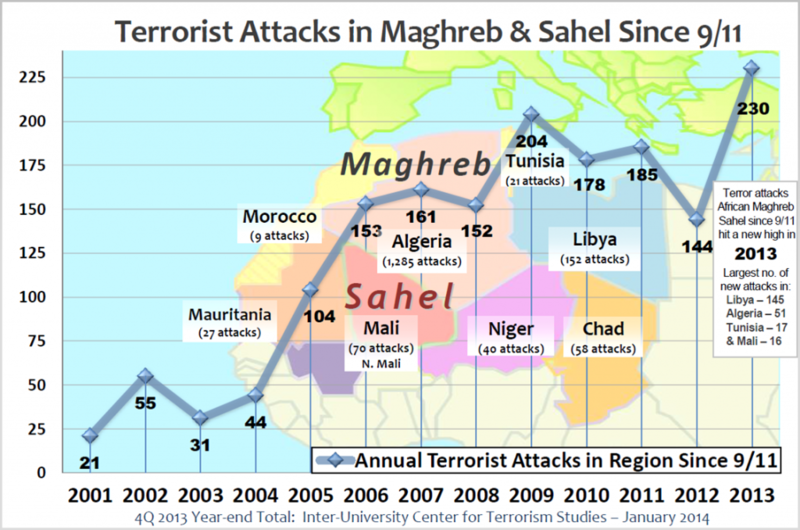 Perhaps most disturbing was the report’s finding that terrorist attacks in North Africa and the Sahel “increased an alarming 60 percent” in 2013, the highest yearly rate over the past 12 years. But rather than just sound the alarm on the seriousness of the threat, IUCTS took it a step further. The report urges greater regional economic and security coordination between nations in the Maghreb and Sahel, improved intelligence sharing, and resolution of existing conflicts such as the Western Sahara dispute that impede cooperation and leave the door cracked open for terrorists and traffickers. To stem the flow of new recruits and arms to criminal and terrorist groups across the region, IUCTS urges tighter control of national borders. 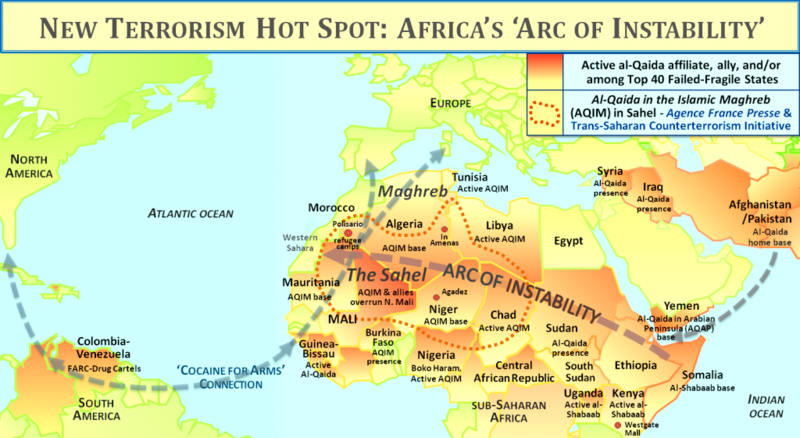 The report points out that the Polisario-controlled camps near Tindouf in Algeria, long reported to be involved in regional arms, drugs, and other illicit smuggling, “pose a threat to regional security as a recruiting ground for terrorists and traffickers.” It cites “active recruiting” by AQIM and other groups of militants and “growing danger of radicalization” in the camps, which a UN Secretary General report in April 2013 warned were a “ticking time bomb.” IUCTS recommends that “Polisario military units should be disbanded” and refugees be given the chance to leave and settle elsewhere, where they are welcome. Taken together, these new US and IUCTS reports provide clear confirmation that the dangers President Obama spoke of in his State of the Union address are more than just words. The threat is very real and indeed imminent. But it is a threat the US doesn’t have to face alone. Morocco is one of the partners America can count on – and has for more than 235 years. When King Mohammed VI met with President Obama at the White House in November, countering terrorism and promoting regional security, stability and reforms were high on the agenda in their joint statement. Congress followed up last month, approving Foreign Military Financing as well as other expected security-related funding to help put actions behind the two leaders’ commitment to “deepen civilian and military cooperation” in non-proliferation and counter-terrorism, and bolster their efforts to turn back violent extremism. And later this Spring, Morocco and the US will conduct their annual African Lion joint military exercises, which exemplifies the longstanding military cooperation between the two countries. The question now is whether regional and global leaders will be able to move quickly enough, and take the steps that are necessary, to stem the tide of terrorism and extremism, and replace it with a path to progress, prosperity and peace. 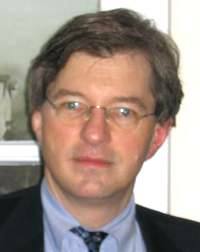 Garth D. Neuffer is Director – Press at the Moroccan American Center for Policy.